How do you know if a piece of kit is good? It’s a question that is often asked and simply answered: it’s good if you find yourself using and carrying it in preference to the other options. This decision is often unconscious and comes about if the item in question has shown itself to be practical, resilient, simple and reliable over a significant period of time. The Littlbug Junior has proven itself to have all of these qualities and as a result, accompanies me pretty much everywhere. The way in which we use this stove the most is in combination with a sealable alcohol burner and 12cm Zebra Billy Can. 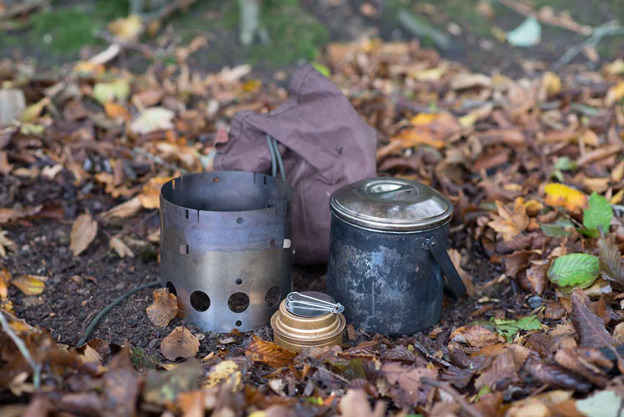 The stove and burner both fit into the can with room to spare for brew kit and fire lighting equipment and provide a versatile outfit which can be up and running in seconds. Once burning, it is silent and virtually scent free which means that it fits well with the environments in which we work and is ideal for watching wildlife. I also have the piece of mind that if I run out of fuel, it’s a simple matter of flipping over the pot stand to provide an economical wood burner which is stable and far superior to other stoves in this class. In the field, I use this combination as a personal kit for cooking meals and boiling water when I’m out for a few days. 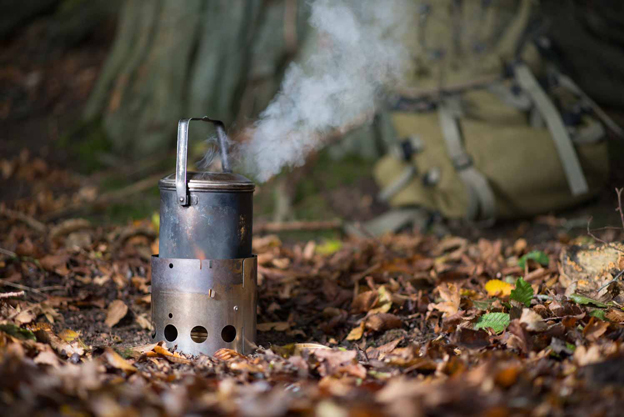 On shorter walks, I can boil water for three or four people to have a drink during a break and find that it’s so quick and discreet that others often don’t even realise that it’s up and running before they have a warm brew in their hands. If you combine these uses with the fact that it’s tough, light and small, you will understand why it never seems to leave my pack. I have the 14cm Zebra Pan and wondered if you could use it with the Littlebug junior stove? Or is it only the 12cm as shown above as it seems to fit well?